If, God forbid, something happened to you tomorrow and you are no longer alive or (even worse) you were permanently incapacitated . . . who knows the passwords for your online accounts with Facebook, Twitter, Tumblr, or your blog? Say, your family has an idea what your password would be for your e-mail accounts. Do you necessarily want them to read your e-mails? Or, would you rather your e-mail account be deleted all together? These are very serious questions that, lately, many people are grappling with. You should be asking yourself: Who in your family have the permission to access your accounts and perhaps shut those accounts down? Who has possession of your content? Now what if you are blogging or have a website that gains income through advertising or affiliate links? What if content created by you . . . a video, a blog post, a meme . . . goes viral. What type of value would this activity have and what kind of asset could it become for your family? In other words, if you are not around who owns the copyrights, and thus the money to that creation? Digital Assets and who owns them after we die is a new problem that has arisen in the last 15 years -- and you should be paying attention to this! If you are online -- providing, creating and sharing content -- you (my dear) have Digital Assets and you should make sure your family or your loved one and trusted friend have access to these assets should something happen to you. 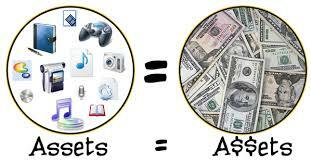 Indeed Digital Assets are part of your Estate and courts are making decisions about your online accounts everyday now. "Confusing . . . online user agreements and state and federal laws can restrict Internet users' ability to transfer their online accounts to loved ones after their death and prevent families for retrieving information stored in the digital realm." Don't be like most people and dismiss your digital assets as insignificant or unimportant. Instead, understand the value of your assets (the world and the courts see them as viable assets believe me) and that these assets can be passed along to benefit your family. Simply defined, digital assets are "an individual's electronic possession: e-mails, digital photos, videos, tweets, songs, e-books, websites, programs, applications"
How Should I Protect Myself and My Digital Assets? Lawyers would love, love, love you to do nothing or even talk to them about digital assets so they can charge for services in creating a "Digital Trust" and other such things. But there are simple things you can do that does not involve attorney's fees and other fees. However, if you have significant digital assets such as: domain names that are worth thousands of dollars, or graphics/memes that have gone viral or apps that you have developed that supply you with royalty checks each year -- you should definitely talk to your estate planner and consider a digital trust for the benefit of you and your family. 1. Figure out who is electronically savvy enough to take care of your digital assets and name this person your Digital Executor. This person will be in your will and any executive directive you establish. 2. List your assets (all your accounts), passwords, pins and security questions/answers. Create both a digital file (password-protected document) and a hard copy file (sealed in an envelope). Place both in two different locations (of course). Let key people (namely your digital executor) know the existence of these files and the location of these files. 3. In a separate document as a Digital Directive, give full instruction on what the Digital Executor should do with these accounts. Delete them, memorialize them, give them to family members to manage, or designate them to continue with your digital work. 4. In your Will or Executive Directive, give your Digital Executor permission to execute your wishes with your digital assets. Your will can mention and direct them to the Digital Directive which will give them access to your Digital Assets List. It is essential that you don't put any account or password information in your will because wills becomes a public documents. Which means anyone can access the information. In many cases, if the company that holds your online account receives notice of your death they will freeze the account. Many of the terms of service say that accounts can be deleted or accessed by family members only if an official "death certificate" is supplied. Death certificates usually don't arrive until 4 to 6 weeks after an individual's death. This is what usually happens in instances of death, however, there is no definitive law on what happens to digital assets after death. Which means many online companies are just handling digital asset ownership by ear -- usually, on a case-by-case basis. Which also means that anything can happen in regard to your online account after you die. And that many decisions about your digital assets are being made by people with very little understanding of online presence, reputation branding, virtual worlds and digital assets -- the U.S. Court system. What often happens is if detailed instructions are not left by the departed, companies will assume that they must "maintained privacy" via the TOS agreement "the departed" agreed to when alive. Current privacy laws do not force online companies to allow family members or estate executors to access the deceased data. Paul Black has a great PDF that can explain account policies. You should definitely read Your Guide to Estate Planning for Digital Assets. Computer Fraud and Abuse Act which currently criminalizes unauthorized access to computers and data. So let's recap . . . IN YOUR WILL: Place a specific clause to allow for the estate trustee to access your digital assets. This clause should give the power to access, handle, distribute and dispose of your digital assets. Don't put any password information in your will because it becomes a public document. YOUR LIST OF ACCOUNTS: Leave a detailed list of accounts and passwords. You can use websites like SecureSafe or Legacy Locker, to hold this information. You will need a lawyer to create a trust. This trust grants the beneficiary the legal right to access your account information after you have passed away through the use of trust law. I recommend this route if your digital assets are valuable. For example, Lady Gaga's Twitter account is worth $9 million dollars. I would definitely advise Lady Gaga to place here digital assets in trust! So, my dears, what are your digital assets worth? Make sure to protect them . . . for your family sake, for MY sake -- because, after all I've always wanted powerful and influential friends. Stores, businesses, stores, restaurants, homes, apartments, condos . . . what do all these have in common? Windows! 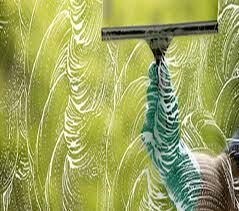 Windows need cleaning nearly every 4 months. Guess what? You can make money because everyone needs windows to be cleaned. All you need is a few clients, with a few windows and you can work all morning, be done by 1PM each day and make up to $500 a day. Cool huh? It's a simple thing to provide this service for all your family and friends. (Remember, if you decide to service strangers you should have a business license and insurance just in case things go wrong (like broken glass, broken items, etc). So, let's keep it with the family and friends plan right now. Charity starts at home . . . remember that saying? Well, it really applies to your money-making efforts right now. You should definitely practice your new craft on your own windows. Why is that a good idea? Because you can really get the hang of how to use your window washing tools so that you look very professional when you begin serving other people's windows. But also, you can take pictures of your new gleaming windows to show your new clients if they want to see your handy work (or they can simply drive by your house that has glass gleaming with cleanliness). Next, volunteer to do some of your family's windows, and then ask them to refer their friends to you for the same service. The goal of all this preliminary work is to get you used to cleaning windows. Using professional techniques, it will eventually take you approximately 5-10 minutes per window. "Good morning, my name is JoAnn Smith. I am making the neighbors aware of my services and was wondering if I might clean your windows. We have a window package right now that . . ."
If the person say yes, before you book the appointment, make sure to walk around the house and estimate how much the job will cost them. Write how much you will charge on the back of your business card. Make sure to make the appointment for later that day or the next morning. Don't let a lot of time go by before doing the work -- you don't want people to change their minds. If the person says "NO." Thank them and extend a business card. Ask them if they have any family or friends that need the service and could they please refer them to you. Charge for outside cleaning only. You should add additionally for inside cleanings. Prices should double for washing windows on the second story. For third story windows, add $4-6 to each price of the second story window. For correct pricing of the entire job, count the number of windows by size. Windows with screens should require extra charge (because you must remove and place back screens). Cleaning screens along with the windows should be extra. TIP: Let your customers know that if they refer friends they can get a discount off the base price of their next window cleaning. Let's just say you offer 10% off for every client they refer to you -- which means that if they refer 10 friends than they get a free cleaning! Beware: If you break something you have to pay for it. If you kill plants around the house with your soapy solution, you may have to replace them. Be careful and have something that will cover nearby plants. Also, beware of cracked windows and do not clean without the owner signing a waiver first. Why American loves the hair extension and how you can profit from this fascination. Have you seen the documentary by the comedian Chris Rock called Good Hair? It is fascinating and I would advise you to rent it or downstream it using NetFlix or something. It really talks about the fixation that America has on hair. Chris Rock, comedian extraordinaire, focuses on the African-American community but I know for a fact that this fascination and need for hair (wigs, extensions, hair pieces, hair clips, etc) is prevalent in the Glamour and Film Industry as well. Women pay BIG bucks to have really good quality human hair to establish their various looks. Here, let me show you . . The demand is not just for African-American women however, there is demand for natural hair due to the needs of the Television/Film Industry, Health Industry (Cancer patients & burn patients) and many others I will not list here. Don't believe me? Watch this . . .
You can profit from this need! Do you have hair 10 inches or longer? Is it free of chemical and treatments? Do you eat well (healthy foods)? This can impact the condition of your hair. There are many hair selling sites that will give you between $300 to $2,000 for your hair. Did you hear me? If you have the hair described above, you could possibly get hundreds of dollars. There are websites that can broker the sell of your hair . . . but many are scams (or not very reputable businesses) so be very, very careful! Never give out personal information or meet with the buyer -- you can make your agreements, receive your payment and cut your hair and send it to them via carrier. But those that are successful are really happy with the arrangement, case in point the woman who sold her hair for $4,000! It is important that before you do anything with your hair through these sites, you should read EVERYTHING first. You should make sure you know: how to prepare your hair, how it should be cut, how it should be stored, how it should be shipped. Quick tip: You do NOT cut your hair until you have received payment for your hair and it has cleared (in Paypal, your bank account, etc.) period! You know what advertising agencies call these people? Human Directionals. If you have ever been to a place that has lots of pedestrian and auto traffic, you will have witnessed some of these people. Some of them are true artists! They are outside and not stuck in an office. They usually have earphones on and can listen to their favorite music on the job. And they are damn good at helping businesses get more clientale. And in areas with good weather, they can do this type of work all year long. Many companies say that this type of gurella marketing is very effecitve. When asked, many companies will say that they are doing many forms of advertising but when clients/customers come in to their stores and they ask how they knew about the store, or sale, or event -- inadvertently the customer always mentions the outdoor sign holder most of the time. 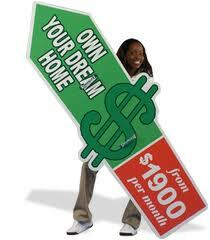 Sign spinning is becoming an essential part of advertising for a company, which is good news for you. Because it means that you can quickly get a job sign flipping and making quick money. AArow Advertising -- www.aarrowsignspinners.com (which will train you in over 300 sign spinning tricks). Their Human Directionals are in 40 cities and 4 countires worldwide. Now, if you don't feel like enlisting with an advertising agency or filling out a job application to do a sign spinning job. You can always promote yourself as a sign holder on Facebook, Craigslist or wherever you can attach a video of yourself showing off your sign spinning technique and contact information so businesses can call you. Sign spinners usually get $7 - $13 an hour depending on the location of the job. Just for fun, let's look at an artist in action . . .
Life is just a big fat video game. It should be called "The Game of Limitations" or "World of Warcraft Limitations" or something like that. Don't believe me? Check this out. Limitation: But you must to work a day-job (8 hours a day with an hour commute) to house and feed your kids. When you get home you are cleaning, cooking, dealing with children. You don't have the time! Exciting Possibility: I would find true joy in traveling the world and seeing all the "mysterious sites" like the Sphinx in Egypt, Stonehenge in England, or pyramids of Peru. Limitation: You don't have the money to quit your job and buy a plane ticket to even one of these locations. Exciting Possibility: I love entertaining, I love parties, I should open a night club or a party venue. Limitation: You have no restaurant or event training and opening a party venue costs a lot of money -- which you don't have and have no idea how to get that much money. Limitation: You know getting into the music business and becoming a star is an impossible task, and most importantly, you don't have any contacts with people in the music business. Limitation: You think you don't have any special talents or any product that customers would want to buy. You don't have any business training at all -- what are you thinking! It all seems very depressing doesn't it? The world is at your feet and there are so many great things to experience, but life and practical things get in the way and you don't have the time, resources or opportunity to explore life and the world fully. You come to realize quickly -- that sadly -- this world is about limitation. Limits are forever placed around the possibilities and the opportunities you experience as a human being. When you think about it, that doesn't make sense does it? Why would this LIFE, this WORLD have all these possible experiences ready for you to explore and enjoy but intentionally put obstacles in the way so you can't explore or enjoy them? It all makes more sense when you realize that this world and the life you are leading is just a game. A game called limitations and you elected be a player of this game. The key to winning this game is not to dwell on all the limitations that could possibly stop you from succeeding in your goal. Which we have a notorious habit of doing . . . (see the Exciting Possibilities list above). Here's the situation, no matter what you wish to do in life . . . there will always be a good reason not to do it. That's the Game of Limitations. But to play the Game of Limitations and win -- the player must recognize, combat and break out from the limitations, and go for it anyway. That's the whole premise of the Game of Limitations. You -- the player -- are suppose to go for what brings you the most joy, you are suppose to live your dreams despite the limitations and obstacles placed in the way of your true joy! Believe it or not, this is the game you elected to play -- it's a game that is supposed to strengthen your spirit and your soul. It's to make you stronger, smarter, faster . . . wiser. And you are in it to win it. Guess what? You have all the tools to succeed. Yes. You do! Life is like a video game. Have you ever played one of those? The point of the game -- the fun of the game -- is to go up the levels of difficulty to gain the thing that you want (the reward). What is the reward? The reward is the joy that a purpose-filled life, doing the things you have always dreamed of doing, can give you. What produces that joy? Well, it's different for every person. For me - writing -- is that joy. So in this game of life I am suppose to write, no matter what the obstacles laid before me that pushes me to not write. And while I'm happily writing and sharing the thing that gives me the most joy in life . . . the game is going to put obstacles in my way. What are these obstacles and challenges? The usual stuff: an 8-hour job to pay the bills, housework, children needing to be cared for, problems from friends and family, a yard that needs attending, hygiene routines and sleep. All the things that will deter me from doing the thing that I love doing most. So, in the game I must meander through all these obstacles and still find a way to have my joy (my writing) in my life daily. And here is where the game gets interesting -- the more successful I am at making sure that I write everyday . . . the more obstacles and challenges and "limitations" that will be placed in my way. 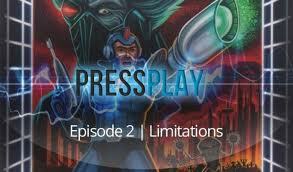 Many people stop playing the game after they encounter the limitations. They feel that there are too many limitations, that the obstacles are insurmountable which means they shouldn't do the very thing that brings them joy, the very thing that makes their life wonderful and full. When in fact all those obstacles and limitations mean that the player is simply graduating to a higher level. You know what happens at the higher levels of video games, right? At the higher level of the games, the obstacles get bigger, move faster, get harder to beat. A good gamer expects this and carries on. What a good gamer also knows is that the tools -- the keys -- you need to defeat the limitations and obstacles are somewhere in the game, waiting for you to discover them so you can use them and get to the next level which has more reward, but even crazier limitations and obstacles. But that's the fun part of the game, dude! I'm sure you've heard gamers talk about the "levels" that they have achieved and how crazy the limitations and obstacles are on that level. But notice, they don't talk about it with dread -- they talk about it with excitement and the gamers at that are lower levels can't wait to get to the higher levels so they can experience the fun. That's how we should be looking at the obstacles that we discover while we are participating in our highest joy, fighting to realize our greatest dream. We need to realize it's simply a game and that this is the exciting part of our game -- and then help others by telling them where the keys and tools are when they get to that very exciting but challenging level of the game. Don't let lack of money, lack of resources, lack of praise, lack of support, lack of time, lack of anything stop you from doing something that you love and gives you a positive joyful feeling about yourself and the world. Don't let the Game of Limitation beat you! You can do this and have fun doing it. Just look at it as a big old game. The better you get at the game the more limitations come at you. But the stronger and more successful you are as a gamer. Be excited about this! All those obstacles, challenges and limitations simply mean you have reached new levels of reward! Seriously, life is all just a big video game! And you my dears are my powerful and influential gamers ready to help me reach and conquer the next level. Why do I love my friends and followers on Twitter? Let me tell you . . . I was talking to Paris Nichlaides @OdysseusCA on Twitter, telling him about how I always tell my children, when they exchange coins for paper at the bank that they are trading Real Money for Fake Money. You understand that don't you? That when you give up your coins you are giving up REAL MONEY. 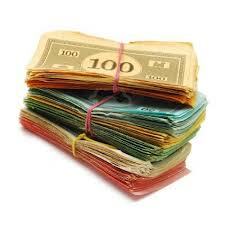 You DO understand that the paper money in your pocket/purse is just "Monopoly Money," right? Paris immediately sent me to a video that talks about the difference between "real money" and "currency" and it is really good, really entertaining and filmed in a way to hold your interest while explaining complex ideas. I love it! I just had to share this information with you guys and found this video an excellent education on money, wealth and freedom . . . all the things I love to talk about on this blog so it fits right in. Man, I love my friends and followers on Twitter. Wealth- What is it really? I witnessed the BEST Mother's Day Gift today, and it made me realize some things. Let me explain. . .
Today, for Mother's Day my husband piled my kids and me in the car and took us to church. The church I like to attend is very different from what most people think of church. My church is very lively and loud, the music is very upbeat and you can dance to it -- which many of the church members of this particular church do. When things get really lively, the people that attend my church will get up in the aisle and walk, dance, jog around the entire sanctuary in time to the music -- it's an amazing sight to see and surprisingly uplifting. Today, one mother clearly happy that her son attended church with her this Sunday got up and dragged her grown son through the pathway during a particularly lively song sung by the choir. She was so joyful, so exuberant, so damn happy that her boy was with her. And he, well, you could tell he was being dragged through the church, that he would like to be any place but there, doing anything but that -- to me it was hilarious . . . and so incredibly loving and beautiful. This young man was doing the very thing (albeit reluctantly) that would make his mother experience the most joy on Mother's Day. Others may have saw his attitude as "poor sportsmanship,""bad attitude" etc, but I laughed at his facial expressions, reluctance and long-suffering. I also saw his presence as the most beautiful Mother's Day Gift that he could give his mother. We as people really should start seeing what is right before our eyes. We should recognize the LOVE that we have all around us and the power that that love affords us. The joy that each and every person in our lives gives us in their own little way (even if it holds a little bit of reluctance in it). And we should thank God for it. THIS is what I learned from that long-suffering young man at church on Mother's Day morning. I want to tell him "Thank You" for showing me through long-suffering devotion what real love is all about. I don't know you and you don't know me, but you are a great son! Air Products describes themselves as": "With over 20,000 employees and operations in more than 50 countries, we serve customers across a wide range of industries from food and beverage, health and personal care to energy, transportation and semiconductors. We supply a unique portfolio of atmospheric gases, process and specialty gases, performance materials, equipment and services." In essence, they are the world’s largest supplier of hydrogen and helium and also do quite well in: semiconductor materials, refinery hydrogen, coal gasification, natural gas liquefaction, and advanced coatings and adhesives. To get to the list of jobs that allow you to telecommute you must do this . . . They generally looking for people with electrical, mechanical and chemical backgrounds. My readers have recently shown interest in all the companies I've featured in the past that offer telecommuting (work at home) jobs. However, the complaint is that you have to search through my entire blog (4 years) just to get the information. Well, you know me, Dear Reader, I am here to make your goals easier to accomplish. I want my friends to earn a great living and have a balanced work/life environment. So I am listing, for your convenience, pleasure and gain . . . all the companies I've feature so far to date. Happy Job Hunting. I've listed them in the order from most recent to "ancient history." 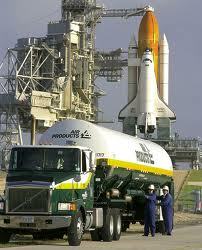 Air Products and Chemical Inc.
Now, this should keep you busy for awhile. And remember that I did this when you get that great telecommuting job, because as you know I am always on the look out for powerful, successful and influential friends!